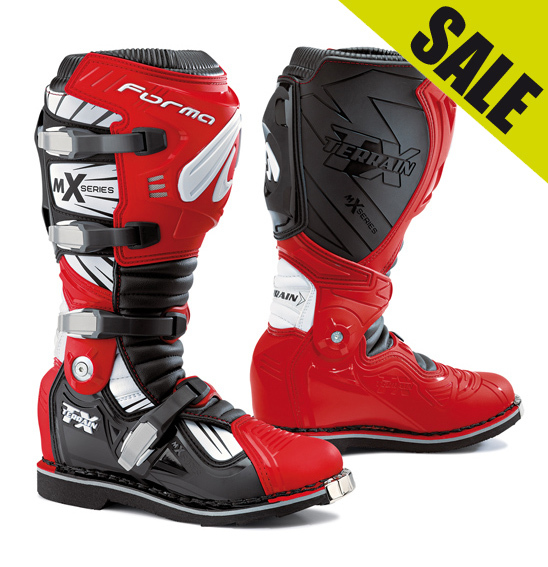 Mid-priced hinged MX boots, made in Europe. Euro sizes 43 to 48. Standard Fit. Selected boots now ON SALE! Only while stocks last.